With some of you back to school and me going back very shortly, I thought I'd share few tips for back to school that I use to get my room ready. 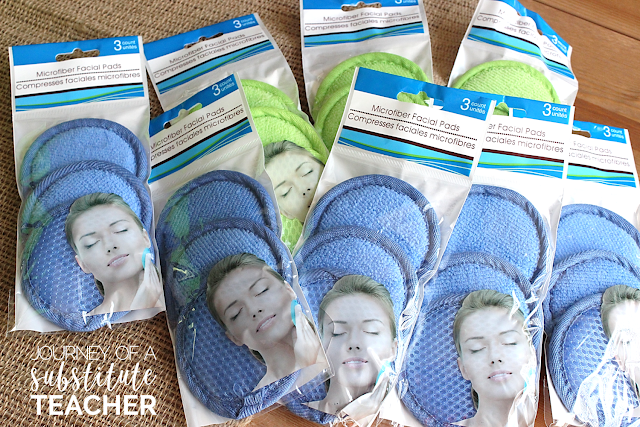 In case you don't know this tip, these facial scrubbers from the Dollar Tree work great as dry erasers! They come in a few other colors too, but I always go for the blue and green. I don't sew, so instead I hot glue things together. Easy and takes the stress away from me! I love laminating things so that when I write on them with sharpie, I can reuse them by writing over them with dry erase markers. I'm using these cut outs as labels for my supply bins. So these may be some tricks you already know, but I still wanted to share! Do you have any tips? Leave a comment down below! I've been doing a little bit of reading this week on my vacation. It's called Kids Deserve It! by Todd Nesloney and Adam Welcome. They have talked a lot in the book about making that connection to students and building a positive relationship with students and parents. This is not anything new to me as an educator, but sometimes we all need a little reminding of how important the little things are in building successful relationships with students and parents. Those tough students can be the hardest ones to reach and sometimes all it takes is someone to believe in them and find the positive in them. My first year teaching someone shared with me the importance of reaching out to parents during the first week to share how their week has gone. So I made myself a little first week notes checklist so that as the week went on, I could jot down the positive things I saw in each child so that I wouldn't forget. Then, at the end of the week, I could sit down and call every parent to share those positive things. It was so powerful for starting our year off on a positive note, especially for those challenging kids. It was hard to find something positive for some of those little gems, but you have to get creative and find something that every students shines at. I have to be honest and say that I have been sort of awful these last few years at my first week positive phone calls, but reading this book has inspired me to create a little checklist to help motivate me this year to make this happen and start my year on the right note! Just click on the image below to download your free copy of the checklist! I hope this helps you start your year off on a positive note as well and see the good in each and every one of your sweet kids! And I would recommend reading the book Kids Deserve It! It is very inspiring! 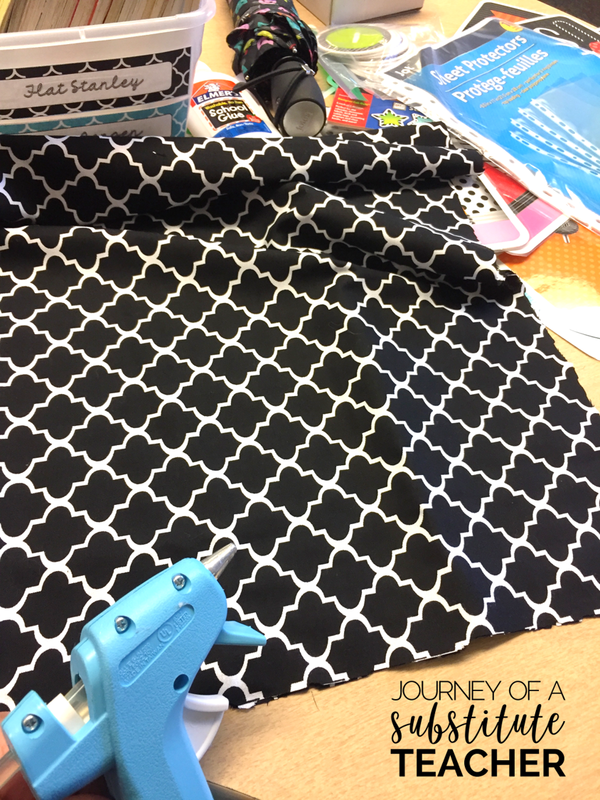 You can head over to my blog and check out more of my ideas for back to school as well! 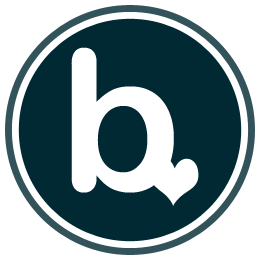 Click my blog button below! Organization is the difference between a good teacher and a great teacher! It is the difference between a great teacher and an excellent teacher because you are not wasting your time & energy looking for things! I leave my desk each day ready for a sub. My husband works midnights and is home during the day, if my 15 y/o son or my 82 y/o Dad is sick, my hubby can be home with them, However, I remember what it was like when one of my children got sick unexpectedly in the middle of the night. I was divorced, and I was teaching BEFORE SCHOOLS USED COMPUTERS & HAD EMAIL, gasp, I know, that World really existed at one time! I would be up at 4:00 am writing out sub plans, calling a friend at 6:00 am, driving sick kids to meet my friend halfway, give her the plans and hope for the best! Nothing better than learning the hard way! Now it takes about 5 minutes at the end of everyday to make sure my desk looks like this....I'm not saying it looks this way EVERY, SINGLE DAY, but I try. Here is a description of the numbers on the picture. 1. Here is my daily lesson plan, always on my desk so any administrator or county visitor can see it without interrupting my lesson. I keep a second copy on the clipboard while I teach to refer to it, a copy of this template is at the bottom of this post. 2. This is our school's weekly calendar, it lists meetings, fire drills, the resource schedule, etc. This way I don't have to waste time rewriting the dates into my plans! 3. 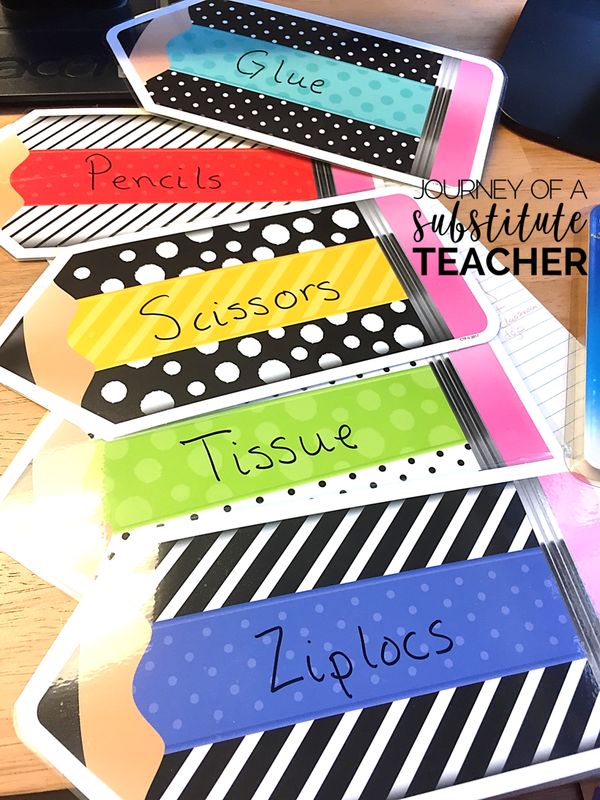 This is my Sub Plans, a terrific notebook for the sub. I've had it for four years now. 4. This is all the work that is needed for Tuesday! 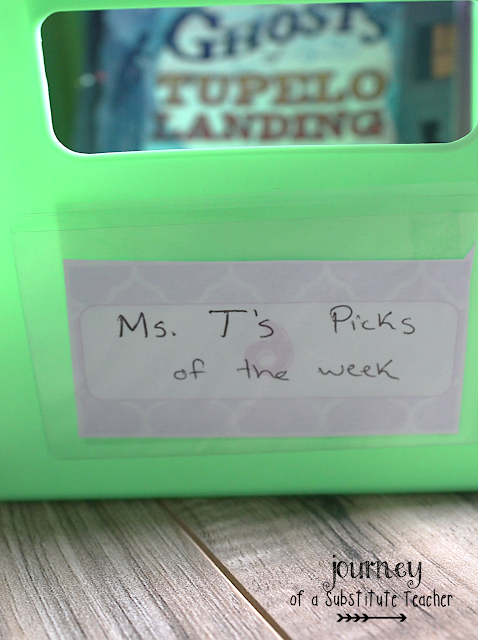 See my blog post Organizing Your Student's Work for the Week! to see how I organize my folder system. 5. 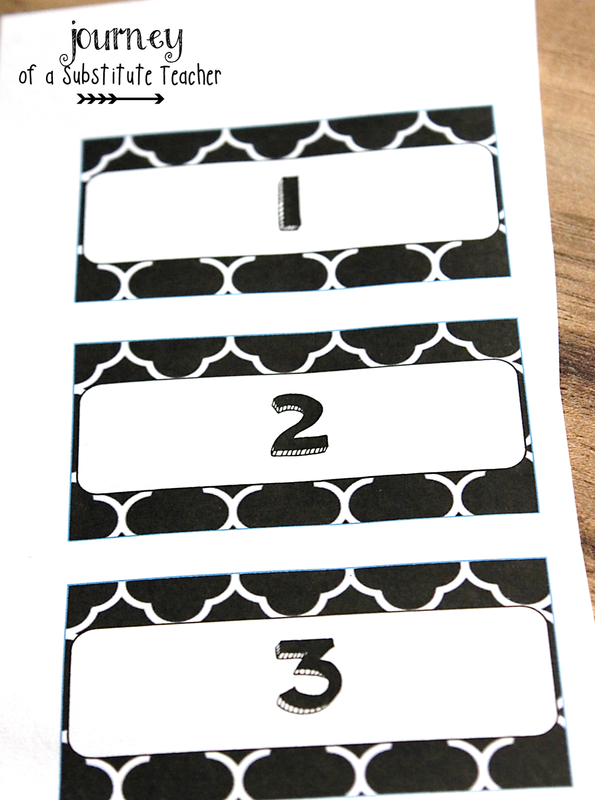 Three hole-punch ready when I print my plans or get the weekly calendar. No wasting time looking for it! Right by it is the pen/pencil/paperclip/stickie note holder my daughter made in 1st grade! Everything a sub needs! 6. Lovely 1980s tape dispenser and stapler right within reach! The stapler says McAllister, my maiden name from before 1991....am I thrifty or what?!?! Every year I look at all those fancy sets of office supplies at Office Max and think, "Nope, I'm good!" When you don't need a sub, you are organized and your next day is so much easier! 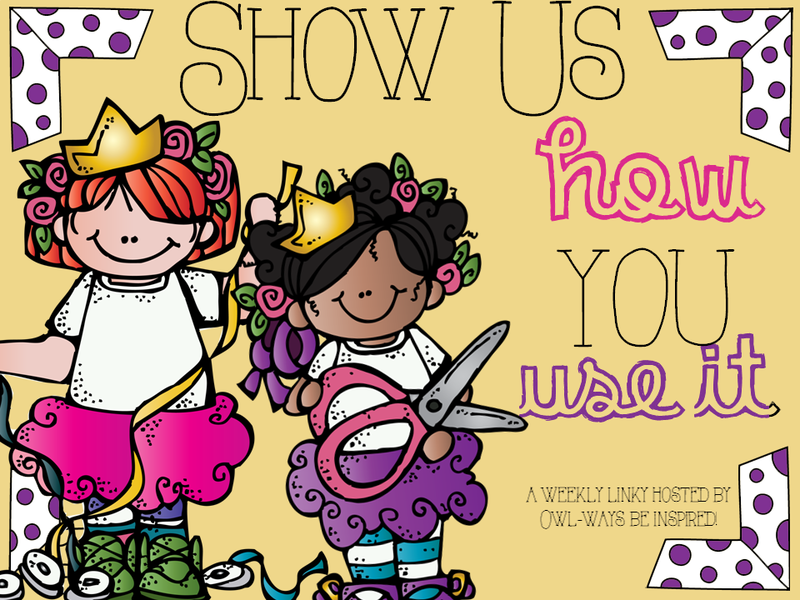 Click on the picture to download an editable Word document of my lesson plans. This year I'm fortunate enough to have 1:1 Chromebooks in my classroom. 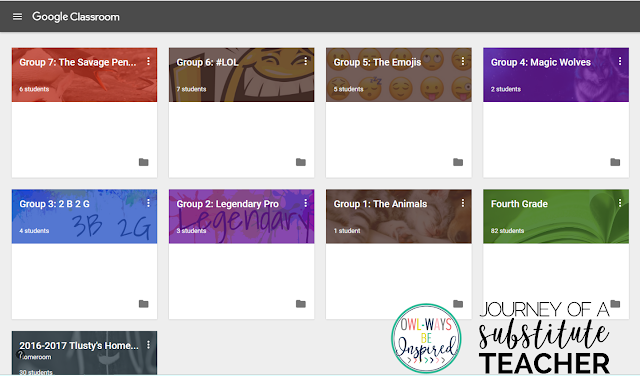 The second week of school they were all ready to go and I jumped into Google Classroom, something I dabbled with last year. It has completely changed my teaching and my classroom. I set up a main Google Classroom (I'll call it GC from here on out) for my class. I post assignments in there for writing, science, and social studies. I've also posted announcements or links I want students to go to. I used to make a KWL chart, but now they do that on GC. 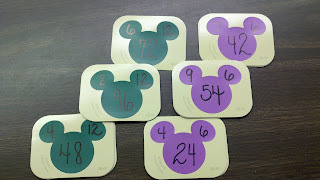 Then I realized I could change my reading time by also setting up a GC for each of my reading groups. Game changer! I post questions there and we discuss questions. Sometimes they answer them in my guided reading groups. If they don't finish, they can do this at their desk. Oh and let me say, my students chose the names for their reading groups! I just added the graphic at the top lol. I'm spending less time at copy machines now. In fact, I'm only there for copying homework and for a few other things. I don't have stacks of papers in my class now, just their math tests and some writing. Everything else goes in GC. I love the fact that I can create one document and with one click of a button, my students all have copies. I love that I can see in live time what they are working on and add comments to their work. That their classmates can add comments. I can quickly see who is done or not done. 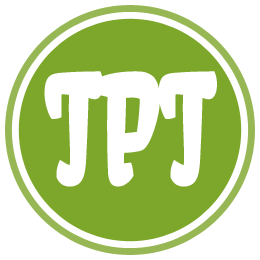 I can post video links, images, docs, etc. My students are getting much better at typing. I love that they are becoming so independent and GC is helping with that. To my amazement, one of my students was home sick, but still did the assignment because it was up in GC. Also the one day I was out sick, I posted almost the whole day's work in GC and the kids were able to run the day smoothly. I could even pop in and see what they were doing. 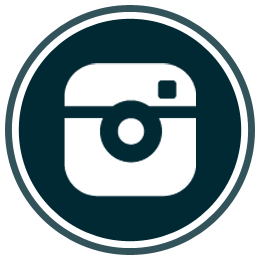 My plan is to do some blog posts here about some tech tips. Let me know if you have any tips you want to see. 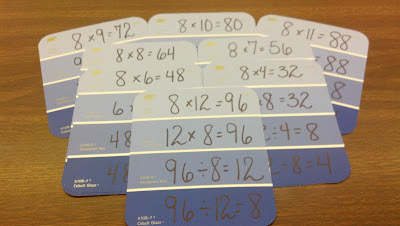 Center Rotation Cards Using Paint Card Samples and So Much More! So Many Uses For Paint Card Samples! 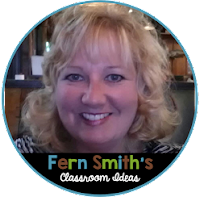 Hello everyone, I'm Fern from Fern Smith's Classroom Ideas. Today I wanted to share some of my favorite uses for paint swatches, paint sample cards, paint chip cards, paint color cards.... Whatever you call them, I ♥love them. I am a "cheapie" by nature and these cards call to me, I can seriously hear them saying "Fern, Fern, Fern..." when the hubby and I go to Home Depot. We enter and he goes one way and I turn into the paint department. 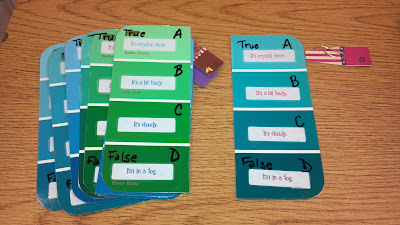 Different colors for the different fact families! 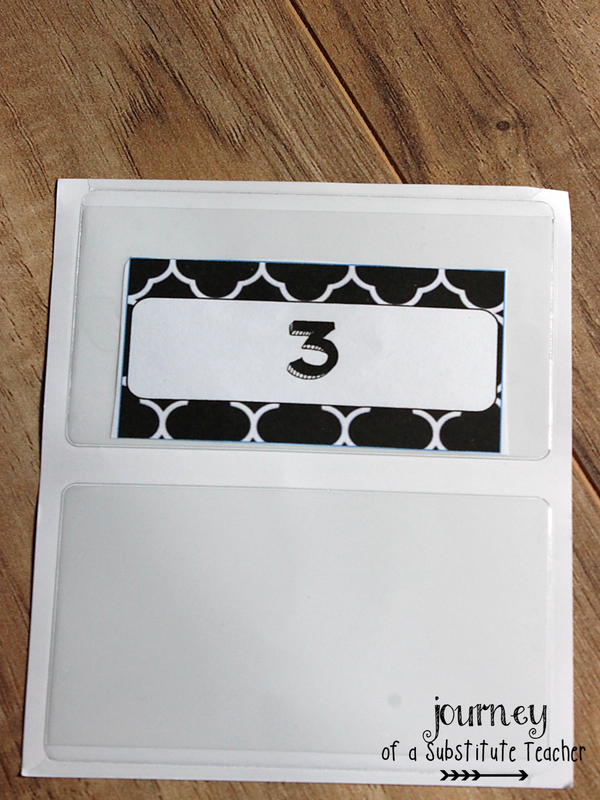 Place two matching stickers on the back of the cards so the children can check their own answers! 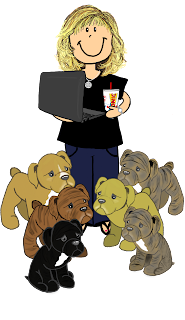 Please visit my blog any time, I ♥love my readers! 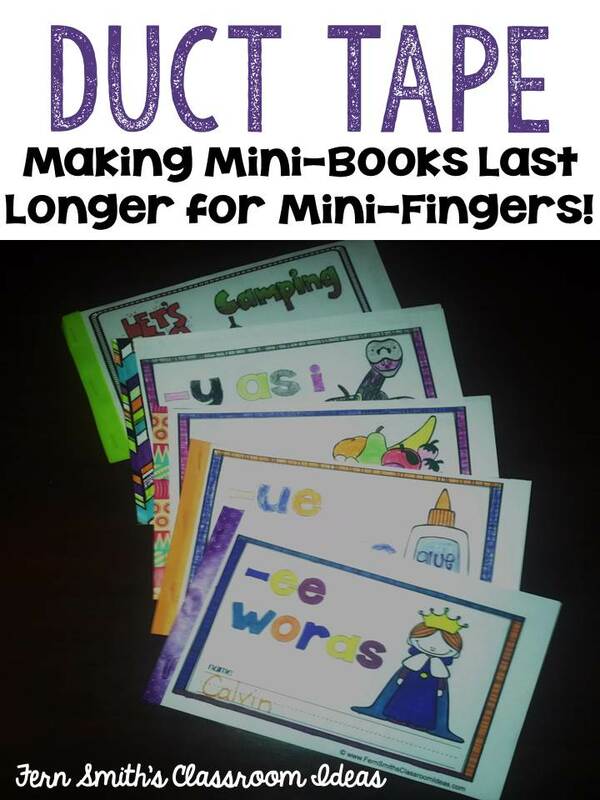 Making Mini-Books Last Longer for Mini-Fingers! 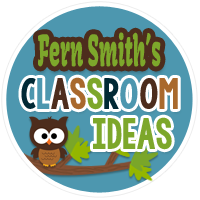 Hello everyone, I'm Fern from Fern Smith's Classroom Ideas. While you're prepping for back to school I would love to share one of my favorite tips. Once you invest in the paper and ink for printing mini-books and mini-readers, duct tape helps to make them last longer. side binder OVER the staples. 1. It keeps the book together longer. 2. The BACK page is not as quick to rip off. 3. Little people don't start crying when little fingers get snagged on the back part of the staple! You can also print 6 to 8 of the same mini-books to make sets to use again and again during your guided reading instruction. 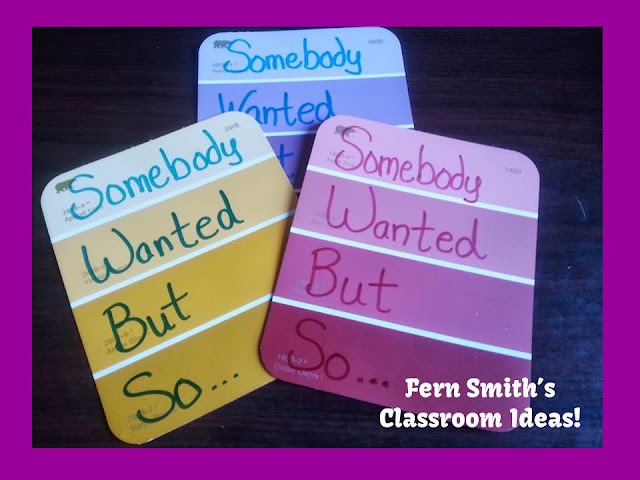 The students can use the books with white boards and white board markers. 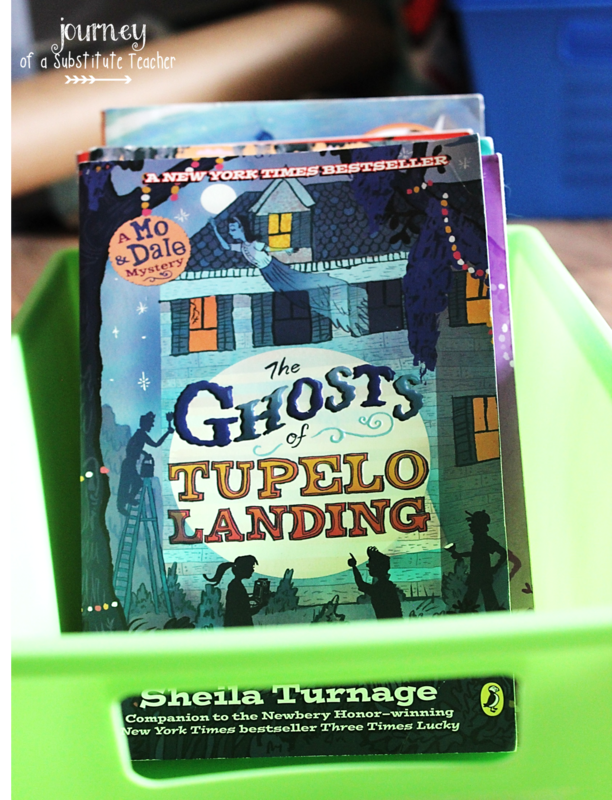 Another Favorite Tip: Use one color of duct tape for the binding to keep all the same titles of a book easy to find and organized. 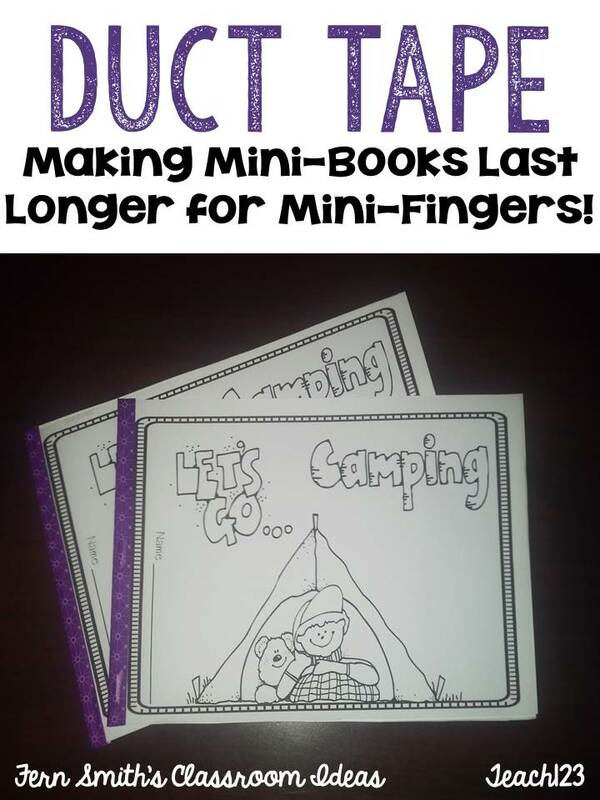 Click here for Michelle at Teach123 camping mini-books. 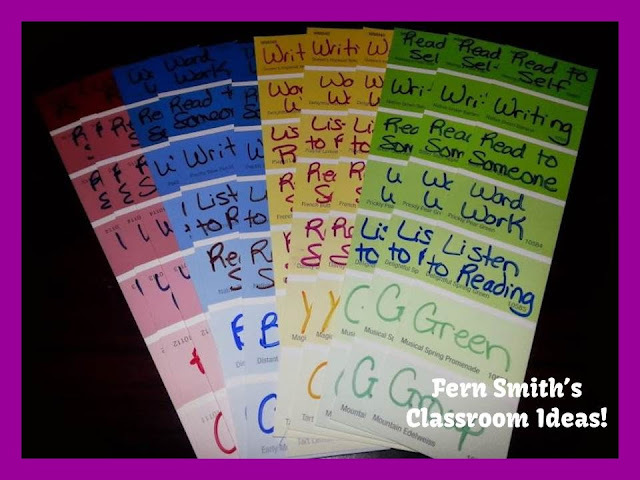 Click here for my phonics mini-books. 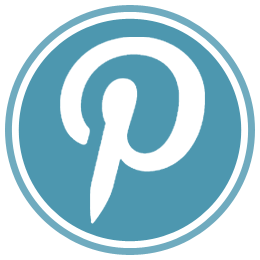 Please follow me for more tips, tricks, resources and freebies! I'm sure most of you have seen the Target self-adhesive labels. I couldn't get any (boo! 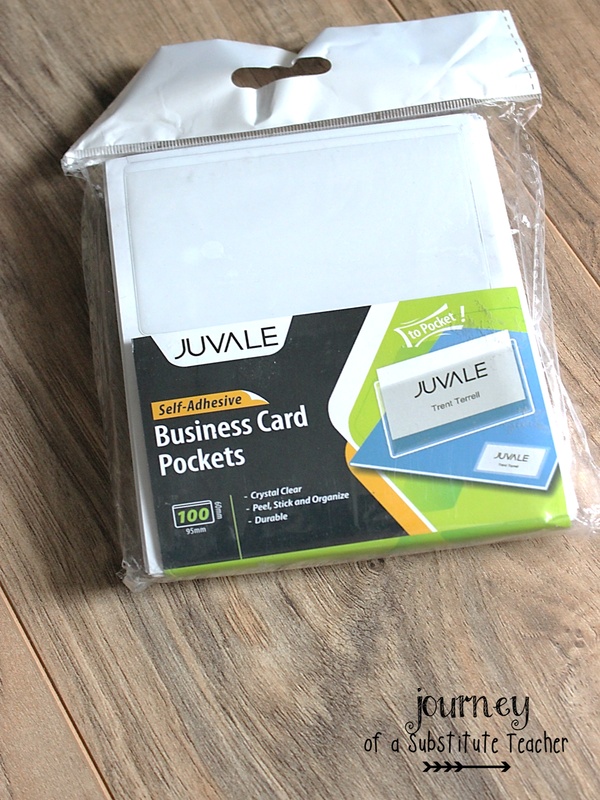 ), but I found some on Amazon that fit business card size labels or cards. I know it's not the same as Target, not the same price etc, but I am really excited to use them. This is what the pack looks like. Here are some of my labels. These will be labels on the students' book boxes. I'm making a second set to go on their mailboxes. This is the first year I'm using numbers instead of names and I think it'll save me lots of time and frustration on things. I wasn't sure of the size and I'm happy to see I can make them even larger if I want. I think any that I have left I'll put on my book tubs. I love the ease of these pockets! 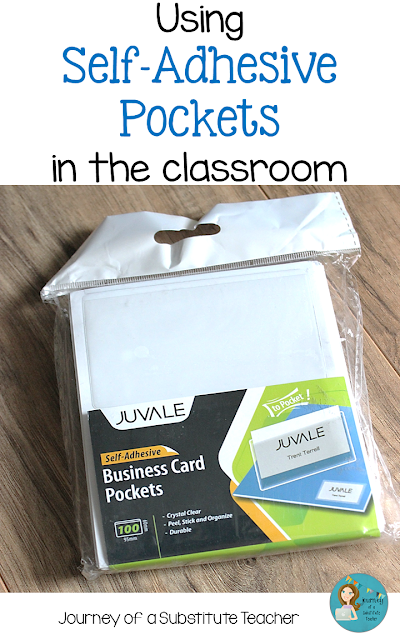 Do you use adhesive pockets? How do you use yours? Share below!